The International Blackcurrant Association (IBA) can be described as a loose international association of people who share the same field of interest: blackcurrants. Furthermore, the members of the IBA can come from many different horizons: they are blackcurrant growers, they process blackcurrants, they conduct research projects with blackcurrants, or they are simply interested in blackcurrants for whatever other reason. Currently, most of our members are part of 9 country associations of growers (and sometimes research institutes and processors), which constitute the basis of our association. 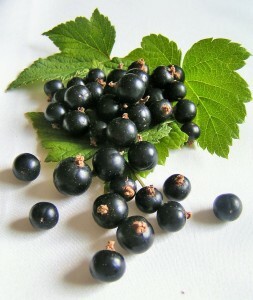 You may notice that blackcurrants are grown in many countries of the Northern hemisphere, in New Zealand and in Tasmania. But unfortunately, most of these countries do not have any formal grower association. the consumer and the media about the numerable values of blackcurrants. How to become part of the IBA? Anyone can join the IBA family: we will be happy to welcome you during our conferences, inform you about the latest news of the world of blackcurrants through our newsletter, and probably have you on board for conducting any kind of project around blackcurrants in a positive spirit.